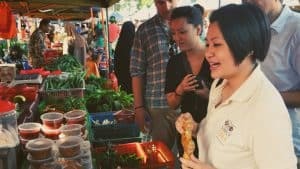 Eat Drink Georgetown is the perfect food trail for small groups who would like to taste the best of Penang’s street food as well as enjoy a delicious cocktail*. 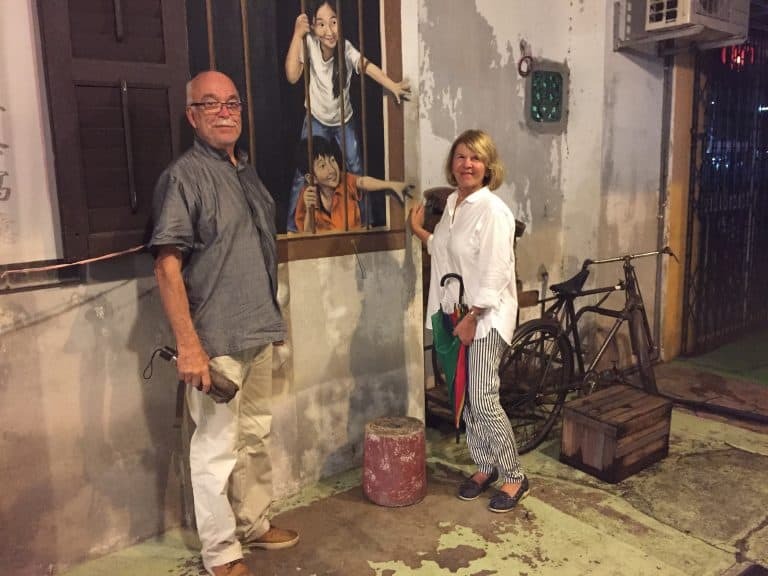 This evening tour takes you around the heritage zone of Penang where we will walk and talk you through the stories that have shaped Penang into what it is today, a fusion of cultures and delicious food. 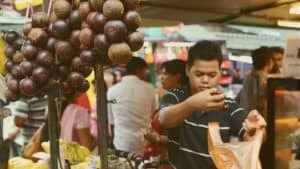 On this tour we will visit hawker stalls from various ethnic backgrounds and learn the stories of these hawkers. One of the highlights is a visit to a Clan Jetty including a taste of the best Char Kway Teow (noodle dish popular in Penang) in town. We end the experience on a happy note at a famous Penang cocktail bar and let the bartender shake up a tasty cocktail using local ingredients and spices. Come hungry and ready for a fun experience. 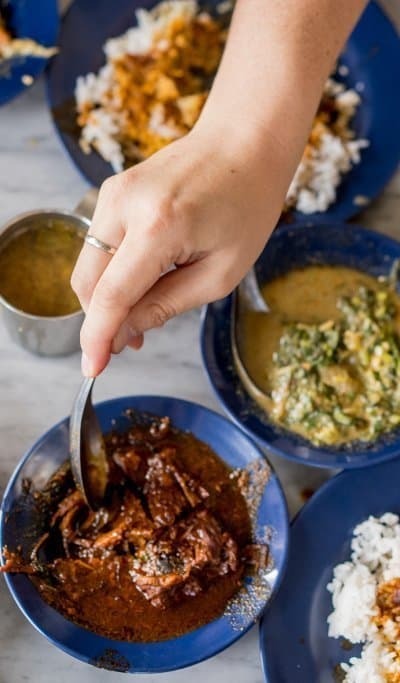 Our Penang born guide is ready to share his stories of food, culture and the people of Penang. Clan Jetty: Penang, being on an island, has strong ties with the water. At the Clan Jetty we discover the (secret) relationships Penang has with the seas. Night Life: Watch how Penang changes as the sun sets. Hawkers make their way into the streets and a buzz takes over the streets of George Town. Take it all in whilst locals prepare for dinner. 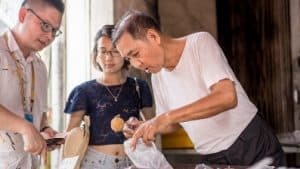 Hawker Food: Sample and Taste up to 11 types of food and drinks such as the national drink Teh Tarik (Pulled Tea), the local ‘all time favourite’ Char Kuew Teow (Stir Fried Rice Noodles), famous Laksa, Indian Rotis and the best egg tarts in Malaysia. All our tours start from a minimum of 2 reservations. Would you like to book as an individual? We try to accommodate your reservation at the best price by adding you to an existing booking. Please contact us to check if we can add you to an existing booking. If we are unable to find another booking that suits your schedule we charge a minimum of 2 individuals to start the tour. Special rates are available for group bookings of 5 individuals and more.